3 deaths, 12 serious injuries. 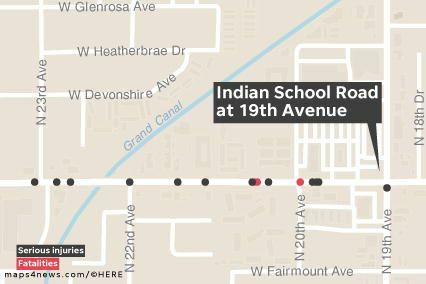 All three deaths occurred outside marked intersections. 35 mph speed limit, 4 travel lanes. The city plans to install two crossing signals here in 2019 and 2022. Last major design change was between 2012 and 2013.